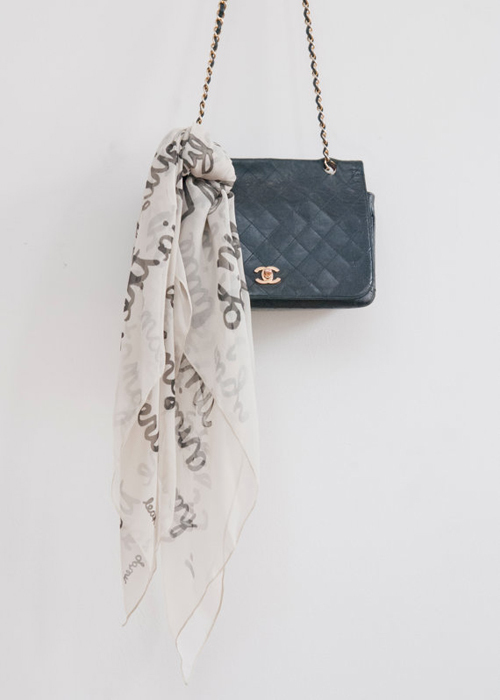 Today I’m loving … this silk chiffon scarf from Etsy seller Leah Goren. 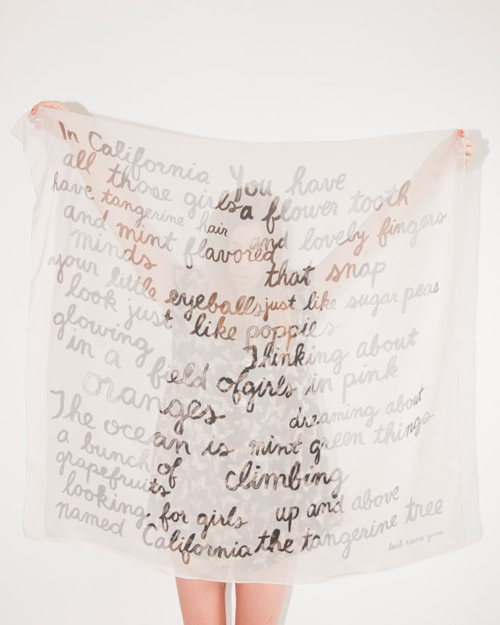 The large scarf features a poem about California written by Chelsey Pettyjohn. Draping beautifully, the scarf can be worn in many ways – around the neck, on a bag, as a head wrap, and more. On the Kate Spade website you can find various ways to wear a scarf.